I may be a bit late to the party on this one, but here's a couple snapshots from our Memorial Day trip to Fort Worth. There were so many other spots that we wanted to check out, but lots of restaurants and shops were closed on Sunday and Memorial Day. Major bummer, but another reason to head back there soon. 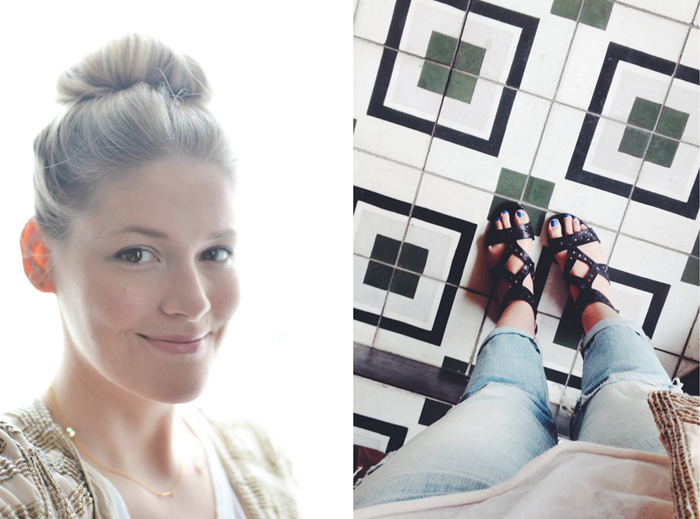 Here's some of our favorite sights and spots we discovered on our trip! Fireside Pies // Literally one of the best meals John and I have both had. It was pretty dark in the restaurant, so I didn't get any pictures....but not that I could have, because there is no way we could have waited to take those first bites anyways. From the appetizer to the dessert, each plate we ordered was perfection. We skipped lunch that day, so we went a little wild and ordered the roasted veggies (the pick of the day was beets) and the fancy house salad. We followed that with the buckwheat tagliatelle and mushroom pasta - they make the pasta fresh in house, and it was incredible. I don't even like pasta all that much, but this....oh my gosh, delicious. The wood-fired burrata pizza was literally one of the best pizzas I have had in the good ol' US of A. Even though we were stuffed, we got the chocolate torte for dessert. Oh, and the grapefruit Rickey cocktail is SO good. Just the right mix of tart and sweet! AF&B // After our meal at Fireside, we ventured to their sister restaurant for lunch the next day. 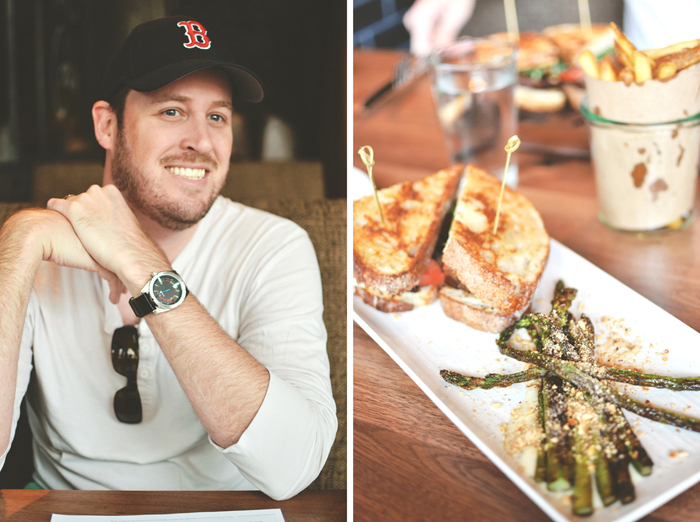 It was American farm-to-table food with a creative kick, and it was delicious! 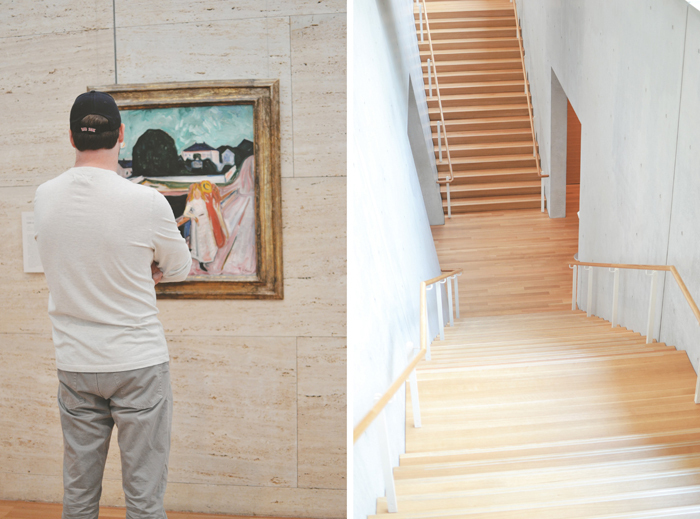 Kimbell Art Museum // We visited this museum to check out the architectural savvy of Louis Kahn and Renzo Piano. Oh, and the art. That Matisse that John is standing in front of was my favorite. 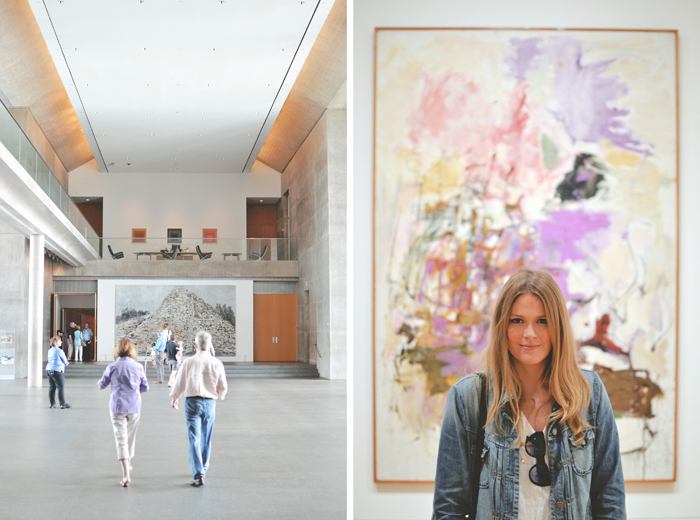 Modern Art Museum of Fort Worth // I loved this museum! The architecture was so cool, and the art collection was oh-so-covetable. They were installing an entire new exhibit upstairs, so we only were able to see the first floor galleries....but consider me impressed! Oh, they had a great gift shop too....lots of Japanese tchotchkes and jewelry. I picked up that sweet gold arrow necklace for a cool $20, and John got a goofy keychain. Stockyards // This place is like a movie set. It literally feels like Frontierland at Disneyland. Totally Texas, and totally touristy...but so much fun. 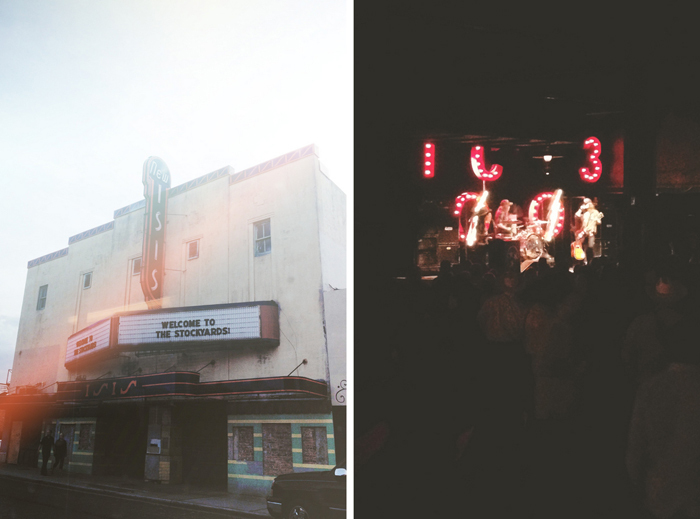 We saw cowboys riding bulls (which gave me crazy anxiety), went to a huge honky tonk, watched the best two-steppers in the West, and caught a show by The Cadillac Three. Must remember to wear boots and a hat next time we go! Sweet Sammies // A big selection of cookies smooching a big ol' scoop of any Bluebell flavor you want. It's not rocket science why we liked this place. Wrare // A mecca of cool gifts and housewares, I thought this place was really well-curated and had a bunch of decor that could fit lots of different budgets. I'd love to visit that modern art museum! Looks like such lovely dates. You look gorgeous in the pictures.